DreamMaker® Bath and Kitchen and our franchisees have been receiving more and more recognition and awards from both industry experts and clients as we continue to prove why we stand out among home improvement franchise opportunities. 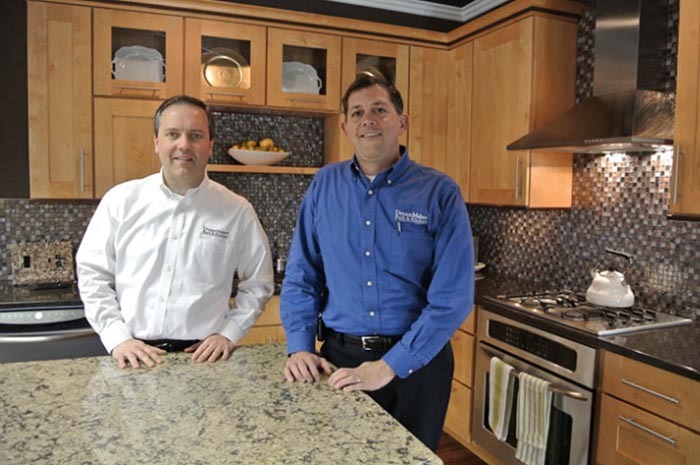 Recently, our 2017 Franchisees of the Year, Lee Willwerth and Bob Ender of Ann Arbor, MI, also received a Regional Contractor of the Year Award from the National Association of the Remodeling Industry (NARI). Our franchise systems empower our talented franchisees to go above and beyond the expectations of their clients, leading to more business. 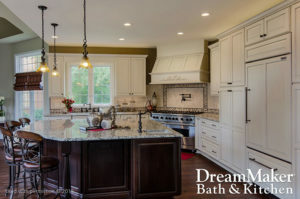 There’s never been a better time to consider opening a DreamMaker® Bath and Kitchen franchise, or to convert your existing remodeling company to take advantage of our systems and support. An award-winning reputation benefits every owner of our home improvement franchise opportunities. Willwerth and Ender recently received the Franchisees of the Year award at our annual DreamMaker Reunion, where our franchisees and corporate team gather to celebrate a year’s hard work and success, as well as plan out our vision for the future for the franchise network. The industry has noticed their great work, as well. NARI honored Willwerth and Ender with the Region 4 East Central Contractor of the Year Award for Best Residential Kitchen over $150,000. The prestigious award is a testament to the outstanding work performed by them and their team, as well as a strong dedication to client satisfaction. Those qualities are found throughout our franchise system. Six of our franchisees, including the Ann Arbor team, also received 2017 Guildmaster Awards for client satisfaction from GuildQuality, an independent customer satisfaction surveying company focused on the remodeling, homebuilding and home improvement industries. In the past three years, 13 of our franchisees have received that award. Awards are nice to have, but what really matters is what they represent. For our franchisees, they represent increased business opportunities as they bring independent, trusted endorsements of their work quality. Clients want people they can trust to work on their homes, and that’s exactly what they find when they work with our franchisees. That reputation helps all of our franchisees close more deals and bring in more revenue. For in-depth details about DreamMaker® Bath and Kitchen home improvement franchise opportunities, download our free franchise report and start a conversation with us. You can also learn more by visiting our research pages.